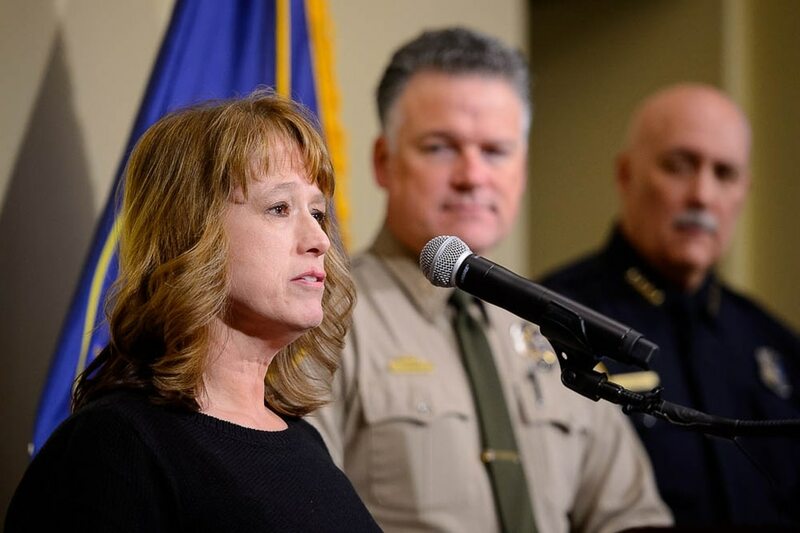 (Trent Nelson | The Salt Lake Tribune) Cold case crime analyst Kathy Mackay speaks at a press conference updating the public on the new cold case database, in Salt Lake City on Tuesday Jan. 29, 2019. 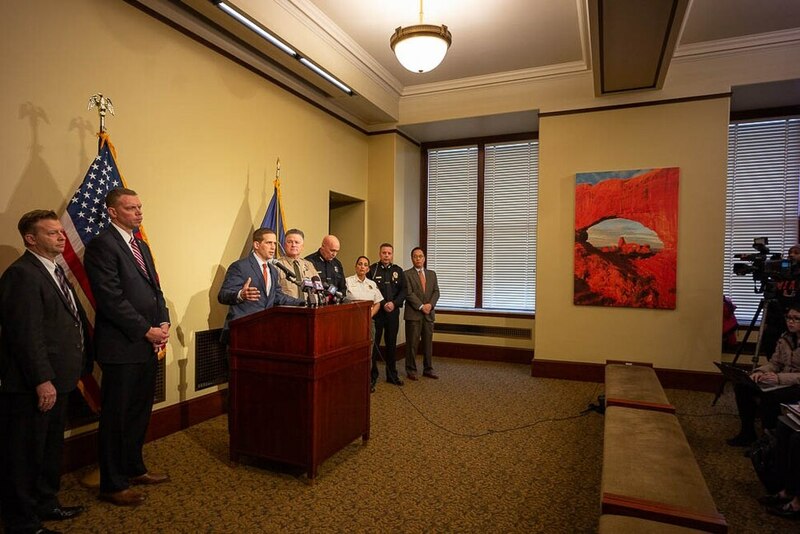 (Trent Nelson | The Salt Lake Tribune) Chief Brian Redd speaks at a press conference updating the public on the new cold case database, in Salt Lake City on Tuesday Jan. 29, 2019. 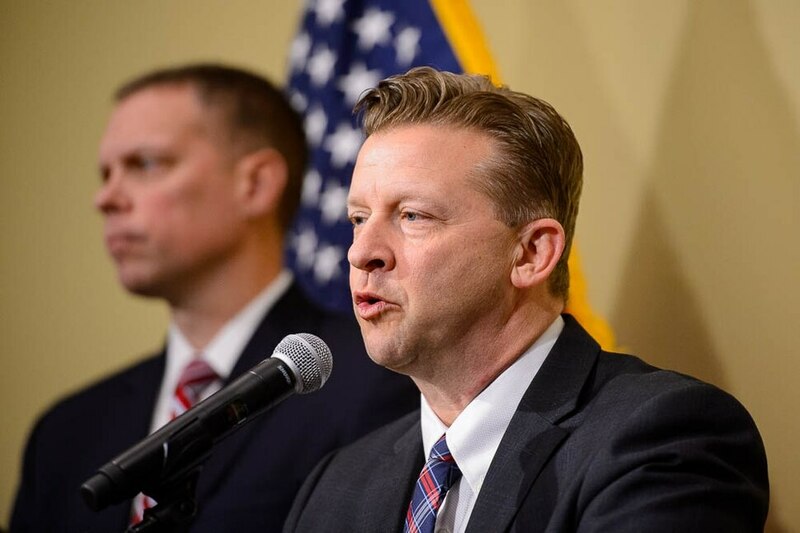 (Trent Nelson | The Salt Lake Tribune) Sen. Todd Weiler, R-Woods Cross, speaks at a press conference updating the public on the new cold case database, in Salt Lake City on Tuesday Jan. 29, 2019. (Trent Nelson | The Salt Lake Tribune) Chief Brian Redd speaks at a press conference updating the public on the new cold case database, in Salt Lake City on Tuesday Jan. 29, 2019. (Trent Nelson | The Salt Lake Tribune) Public Safety Commissioner Jess L. Anderson speaks at a press conference updating the public on the new cold case database, in Salt Lake City on Tuesday Jan. 29, 2019. Sheriff’s deputies investigated the crime but came up with little. A year later, Salt Lake City police received a missing-person report for Patricia Barrett. But for decades, Salt Lake City Police Chief Mike Brown said, the two agencies didn’t link the two. It wasn’t until Barrett’s children made the connection in 2011 that the unidentified body was confirmed to be Barrett’s after her daughter gave DNA for testing. Had the two police agencies shared their reports, they might have figured it out sooner. With the creation of a new statewide cold case database, officials hope nothing like this happens again. There are more than 400 cold cases throughout Utah — unsolved homicides, reports of missing persons or unidentified bodies. Last year, lawmakers passed a bill that requires all law-enforcement agencies to share information on unsolved missing persons and homicide cases that are more than 3 years old. The goal is to help police share information and make connections between cases that are being investigated by different agencies. Department of Public Safety officials announced at a Tuesday news conference that after a year of work, the database will soon be live at bci.utah.gov/cold-case/. “This is an unprecedented opportunity as we work together and collaborate together,” said Brian Redd, director of the state’s Bureau of Criminal Investigations. While the entire database will not be public, DPS officials say there will be a website where people can look at details about each case. The agency already has a website with cold cases — but it’s outdated and was optional for law enforcement to participate. Sen. Todd Weiler, R-Woods Cross, sponsored the bill last year. He said during the news conference that while he’s sponsored more than 100 pieces of legislation during his time as a lawmaker, this is one of only a handful he believes will bring change that matters for years to come. As state officials touted the new database Tuesday, the sister of a homicide victim whose case went cold in Utah quietly stood in the back of the room in support. The woman did not want to be interviewed by the news media, officials said. Until a few months ago, her sister, Lina Reyes-Geddes, was among the long list of people who had vanished. In November, Utah officials announced that a body that was found wrapped in plastic and duct tape along a southern Utah road 20 years ago was Reyes-Geddes. It was important, DPS Commissioner Jess Anderson said, to reunite Reyes-Geddes’ remains with her family. “It’s an ending that we want to provide all families and all victims going forward,” Anderson said. The statewide database was initially pushed by a nonprofit, the Utah Cold Case Coalition. Attorney Karra Porter, a founder of the organization, said Tuesday that there was a “significant need” for a centralized database. She pointed to another cold case in which it took 12 years for police agencies to identify the badly decomposed body dubbed “Saltair Sally” as 20-year-old Nikole Bakoles. As with Barrett’s case, one Utah agency was investigating the unidentified remains, while another had received a report that Bakoles was missing. It wasn’t until years later, when the Midvale Police Department merged with Unified Police, that the two agencies began sharing records and the cases became connected.